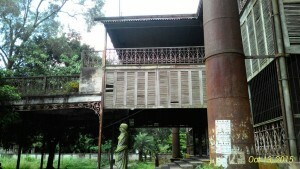 The founder of Dewan Bari Jamindaar Bari was Fonivuson Mojumdar. Fonivuson Mojumdar’s Father Name was Landlord Radharomon and mother’s name as Kusum Kumari Devi who was the second wife of Radharomon. He was born in 1892. This landlord house is a small 2 stores Building. But the main gate of the house is look like as a Mughal Castle – gate. After banned the Real estate practices in 1952 the house was auctioned. Now there have a school and some business center.Located at Deowan Bari road in Rangpur. You can take a rickshaw or auto rickshaw (Battery Driven Rickshaw) to visit this place from Rangpur. Dhaka and Rangpur are linked by road. Some of the bus services are listed below for your assistance. Dhaka and Rangpur is also linked by railway. Some necessary information of train services are given below for your assistance. Train operates every day except Sundays. It won’t be a problem to find a suitable restaurant for you to eat here in Rangpur. For shopping you can visit The Jelaporishod Super Market by the way which is located in the center of Rangpur City. It is not sure but people believed that they have started their Zamindari somewhere around 1890. First Zamindar (জমিদার) was Kalichoron Shaha (কালিচরণ সাহা). Beside their Land Lordship, they have conducted trading related to Jute and Salt. They were the owner of huge land properties from different part of Bangladesh. During country division and war, most of them moved into India. Only very few are living at Tangail. Their attractive edifices are now become a tourist spot. 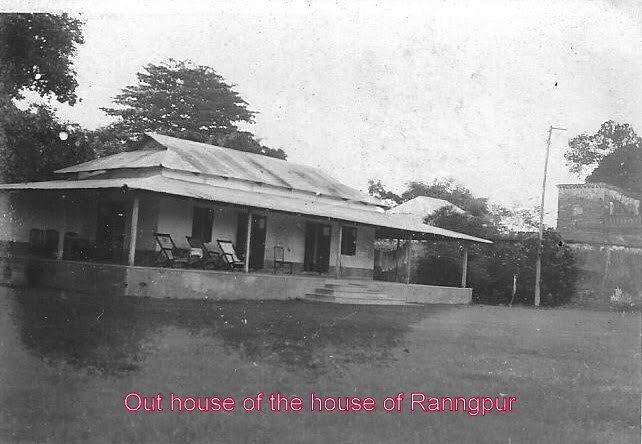 Since they were rich, people says they have built those building before establishing their Zamindari (জমিদারী). 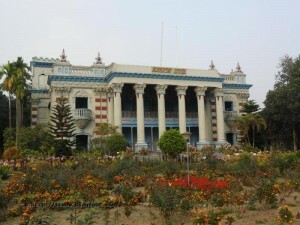 Mohera Zamindar Bari has several main buildings. Each of those are presented below with short description. Chowdhury Lodge (চৌধুরী লজ): After entering the Zamindar mansion premise through the main gate, Choudhury Lodge is the first building that you'll find. It’s a pink colored building having Roman/Greek styled pillars at the front side. The rich ornate building is having corrugated at the roof from inside. Its a two stored building having a garden in front of it. This building is beautiful from the back side too. There is a playground for the kids available there. Ananda Lodge (আনন্দ লজ): In my opinion, Ananda lodge is the most stylish building from the entire premise. This building has a touch of white and blue. It has eight columns in front of the building. Most attractive part of the building is the small hanging balcony at second floor. It seems like someone like Juliet used to pass her afternoon there. This building has a lovely garden at front side. 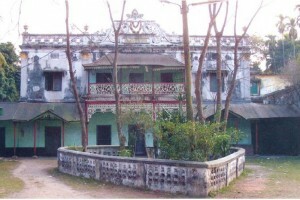 Moharaj Lodge (মহারাজ লজ): This is a pink colored building having byzantine design. Similar to other buildings it has 6 columns at the front side. The stair in front of the building has a curved railing which just increased its beauty. Similar to other buildings it is a two storied building having a garden at front. Behind the garden has a tennis court. The Moharaj Lodge and the Ananda Lodge are adjoining. 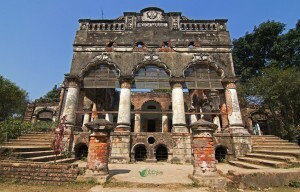 Kalichoron Lodge (কালিচরণ লজ): This building is built during the last portion of the Jomidari Era. Thats why this one is looking different than other three. It is having more rooms compare to any others from the premise. Architecture of the building is somewhat similar to the colonial era buildings. The shape of the building is like the letter 'U' in English alphabet. During the noon-afternoon, you'll find a play of light and shadow for that shape from the inside of the building.